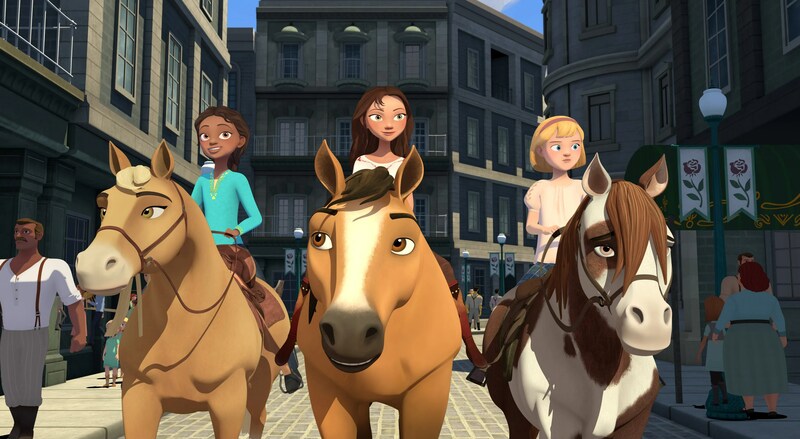 In our exclusive reveal of the new Season 8 trailer for DreamWorks’ Spirit Riding Free, fans of Netflix’s hit animated series can get a sneak peek of the wild adventures that are just around the corner. In Season 8, big changes and tough choices are in store for Lucky, Pru, Abigail, and viewers everywhere as the girls are given an amazing opportunity, one that would have them leaving their friends and family behind in Miradero. Will they take the chance of a lifetime or stay home and play it safe? You’ll have to tune in to find out! 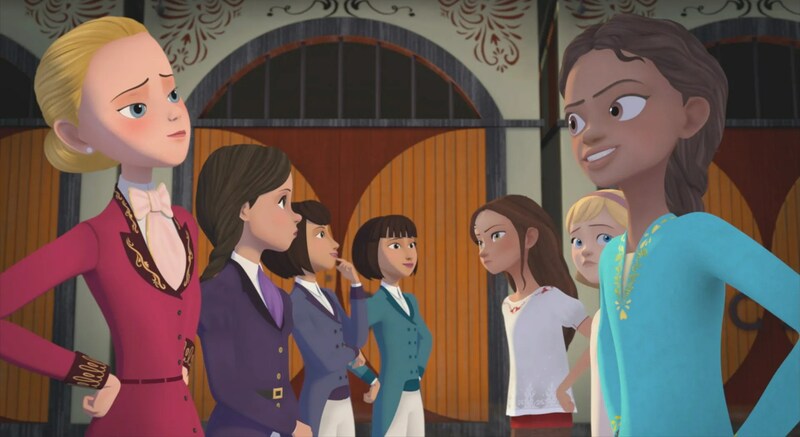 Starring Amber Frank as Lucky, Sydney Park as Pru, Bailey Gambertoglio as Abigail, Darcy Rose Byrnes as Maricela, Nolan North as Jim Prescott, and Kari Wahlgren as Aunt Cora, and guest starring Maddie Ziegler as Rose, Holland Taylor as Madame Gummery, and Tony Hale as the Bellhop/Waiter, Season 8 of Spirit Riding Free arrives on Netflix starting April 5th. Be sure to add it to your watch list if you haven’t already! Even after everything the PALs have been through, their biggest adventure still awaits. The next chapter of Spirit Riding Free begins on Netflix April 5th! 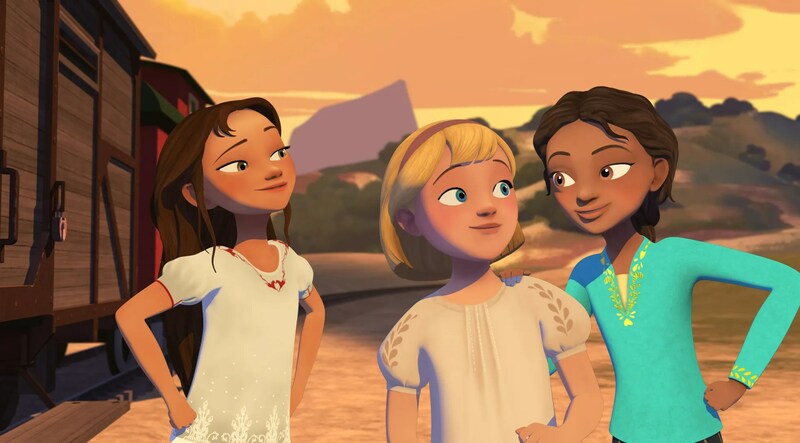 Change is in the air for Lucky, Pru and Abigail, as new episodes of DreamWorks’ Spirit Riding Free find the PALs faced with big changes and even bigger choices. Lucky becomes a big sister, Pru and Chica Linda take on a new competition, and Abigail rescues a wild wolf pup! When the opportunity to go to boarding school presents itself, the girls must decide if this new adventure is worth leaving Miradero behind. “Lucky and the Warm Welcome” – When a forest fire breaks out at the train outpost, Lucky is left to help Kate give birth while Jim and Spirit save the herd. “Lucky and the Dressage Sabotage” – When Pru takes a bad fall in a competition, Lucky suspects sabotage and sets out to help her friend find the culprit. “Lucky and the Girl Who Cried Wolf” – Lucky, Spirit and the PALs rescue a lone wolf pup on the same day that they have to babysit baby Polly! They are able to keep it hidden in town until it can be returned to its mother. 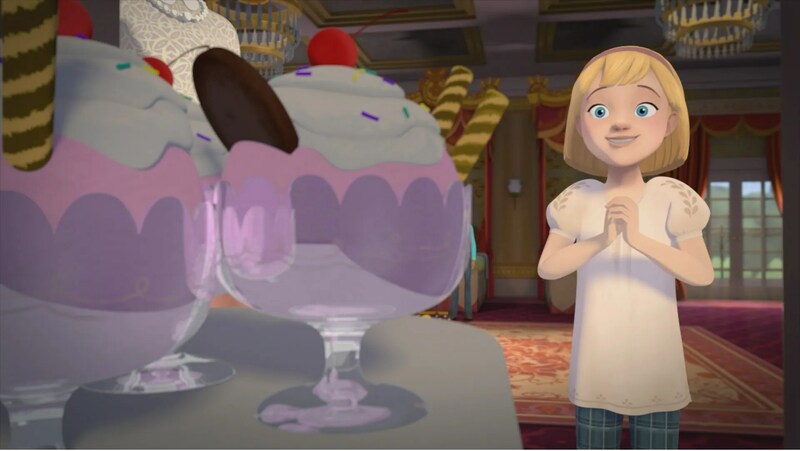 “Lucky and the Endless Possibilities” – When Aunt Cora throws a career day at school, Lucky struggles to figure out what she wants to be when she grows up! “Lucky and the New Frontier Pt. 1” – With a mix of nervousness and excitement, the PALs get ready for boarding school while having a big-city adventure. They prepare for their school interviews with Headmaster Madame Gummery. Spirit is not a big fan of city life, and Lucky ends up with a LOT of explaining to do! “Lucky and the New Frontier Pt. 2” – Lucky prepares to leave Miradero for boarding school, but is heartbroken when she realizes she’s going to have to leave Spirit behind.